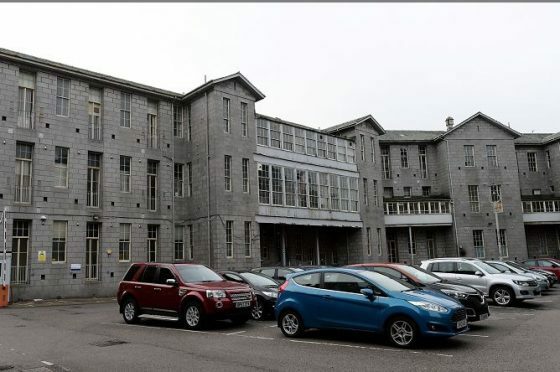 A vision to breathe new life into one of Aberdeen’s most historic buildings has been revealed. Developers CAF Properties want to transform the 18th century Woolmanhill Hospital into a hotel and residential complex. Early plans for the Victorian site, which includes the A-listed Archibald Simpson building, include a 50-bedroom boutique hotel, serviced apartments, residential apartments, and affordable housing. The scheme will involve four of the buildings on the site, which was the location of the city’s first royal infirmary. The pre-application notice was lodged yesterday in conjunction with NHS Grampian. Charlie Ferrari, who heads up the developers, said: “This is culturally and historically a very important part of the city and the project aims to strengthen this cultural aspect and further complement the area which already offers a handsome vista of buildings such as His Majesty’s Theatre, with its award-winning extension, and the art gallery which is being renovated and extended. If approved, the Stephen Building, which looks onto the Woolmanhill roundabout, would be converted into 27 serviced apartments, and would be run by the hotel operations. The Victoria building would become 33 two and three-bedroom properties, while the archive building would be split into 11 affordable flats. Construction on the original ARI began in 1740, Woolmanhill was later used as an out-patient clinic. NHS Grampian was granted permission to close the facility in 1999, and services have gradually relocated elsewhere in the city in recent years.